Mulch is an important element of your landscape. It not only serves an aesthetic purpose, but many practical ones as well. 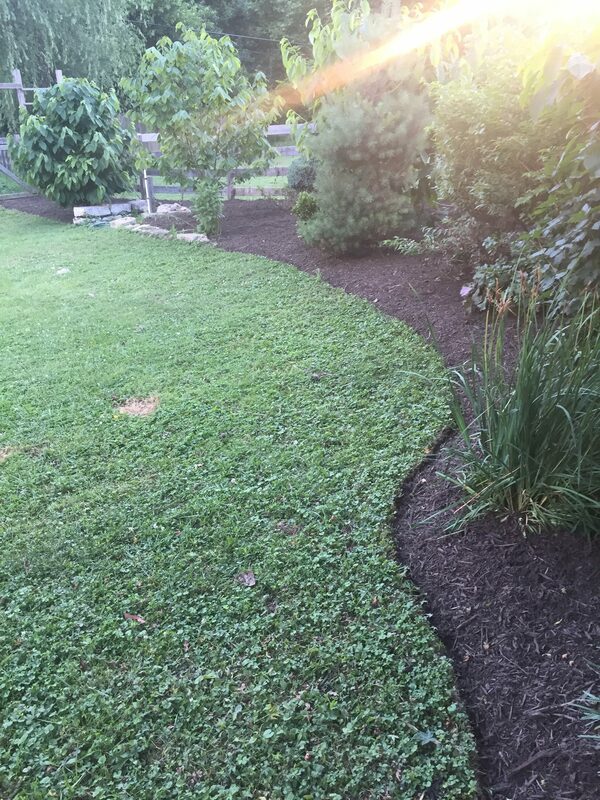 Edging out all mulched beds gives your landscape a clean look. 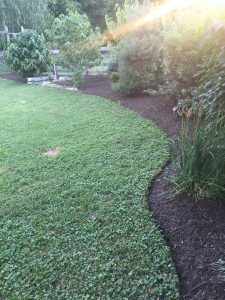 A crisp edge defines the mulch bed to give it separation from the turf. Our professionals aim for a 3” depth on bed edges to give you that professional look. This will also keep mulch inside the bed and not in your grass! A stone border can also be used to give your beds a distinct look. Hiring a professional landscaper to install mulch is more important than you may think. If mulch is applied incorrectly, it can actually be counterproductive to the health of your tree or plants. The inexperience landscaper can install too much mulch or even your typical mistake of the “mulch mountain”, where too much mulch is applied around the trunk of the tree creating a mountain like figure. We make sure all of our landscapers are properly trained to install mulch to guarantee mulch is installed the correct way to optimize all of its purposes. Our professionals will apply a minimum of 1” of fresh mulch each application. Recommended total mulch depth is 2” – 3”. We regularly see other untrained landscapers applying mulch at twice that depth. If there is more than 3” of mulch present, we will recommend the excess mulch be removed and hauled away. We guarantee that our crews are trained for proper and professional mulch installation.